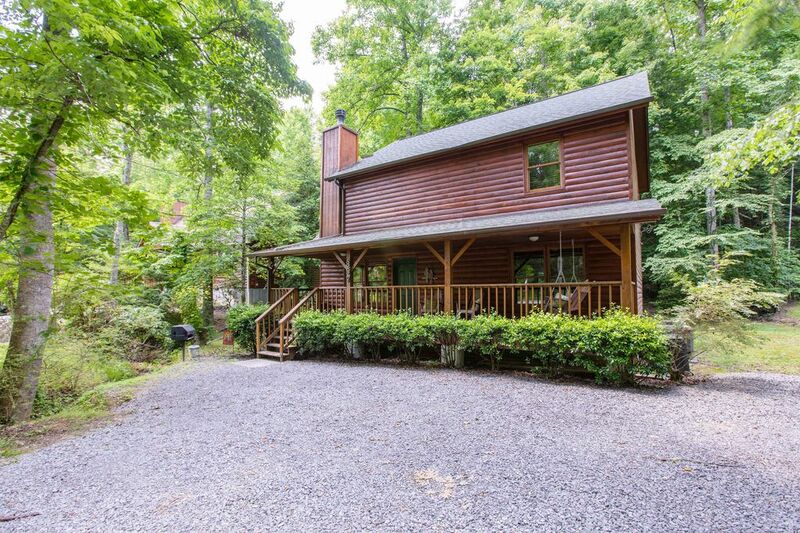 Pop's Retreat- This peaceful Gatlinburg Getaway cabin is located just 10 minutes from downtown Gatlinburg. It is conveniently located right next to the new Rocky Top Sports Center and a 3 minute walk from Mill's Park. Located right on a creek with easy access. No steep or winding roads to worry about. Very easy access even in Winter. This property has a 49 Inch 4k tv in the living room 40 inch 4k tv in the master bedroom. Features full kitchen, sleeper sofa in living room, Second bedroom features queen bed and arcade game that features 40 of the most recognized classic arcade games, and an assortment of board games. Cabin features 140+ channels of HD tv, 60 Mb wifi. And a hot tub. This property is Owner managed. Our family has been in the rental industry for well over a decade. From our experience our guests enjoy the property when the Owners are hands on for every aspect of the property! This is why we formed our own company to Manage our OWN properties so you have the best service that is available! Check out our other cabins!! Very clean, convenient to town. We will be back for sure. Thank you. Blessed. This place was great. In a quiet location close to town. Beds were great! We were in town for a basketball tournament, and the Rocky Top Sports world is less than 5 minutes away. Loved our stay. The cabin was awesome. Clean, cozy and close to everything. We will definitely come back. I can’t say enough good things about this cabin and the owner! It’s was spotless and so cozy! The beds were heavenly. We were a short drive down the highway to downtown Gatlinburg, but yet it was very peaceful and quiet. The owner responded to my messages within minutes to answer any questions we had. We plan on staying here again in the future. A clean well maintained property, convenient to all the attractions in the Smokey Mountains. We had a great stay.